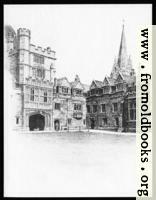 Words and pictures from “The Charm of Oxford” by J. 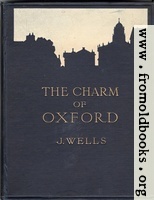 Wells, 1920, and illustrated by W. G. Blackall. 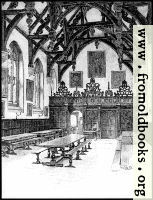 There is also a Project Gutenberg text edition of this book, but their images are not very good. From this edition I take it that the images and text are out of copyright, but I am not certain. Note: the text is by Joseph Wells (1855 – 1929) and is out of copyright. 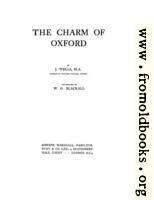 Published by: Simpkin, Marshall, Hamilton, Kent & Co.